Beautiful Designs to Bring a Sense of Grandeur to Your Home. Based in Stourbridge, we offer our eye-catching uPVC bow and bay windows throughout Worcestershire, Worcester, Redditch, Kidderminster, Bromsgrove, Droitwich Spa, Evesham, Birmingham, Coventry, Solihull, Wolverhampton, Dudley, Stafford and surrounding West Midlands areas. Bow and bay windows allow you to bring a bright and spacious feel to your home, offering panoramic views and a choice of styling to suit your needs. The bow or bay designs differ in their shaping, offering a traditional charm or modern flair respectively. Whatever style you choose, we’ll make sure it’s the perfect fit. Bow windows comprise an arched sash placement, allowing you to enjoy an elegantly curved look. Bay windows, on the other hand, offer a more rectangular shape, with capturing a crisp and clean look for a more contemporary feel. Also, as these windows protrude out from your home, they also offer more space for you to use for decorative or practical purposes. As our bow and bay windows are manufactured using the market-leading uPVC profile from Profile 22, you’ll be able to choose from a range of profile stylings to suit both your tastes and the feel of your home. This means that you’ll be able to get a window style that suits you. Optima Chamfered: Perfect for modern homes, the Optima Chamfered style offers a beautifully smooth and sleek appearance. This styling is perfect for bringing a contemporary flair to your home, suited to both bay and bow window alike. Optima Sculptured: The Optima Sculptured profile comprises more of a traditional finish, bringing a sense of heritage charm to your property without any outdated problems. This option is perfect for bringing something classic to your home. Due to their modern and innovative design, all of our uPVC bow and bay windows achieve market-leading standards of thermal efficiency, security, durability and performance. Not only will these windows help to bring a sense of grandeur to your home, they will also help you to feel safer and more comfortable throughout the year. For enhanced thermal efficiency, these windows are manufactured using a high performance multi-chambered profile. This feature helps to trap in pockets of warm air and combines with revolutionary centre seals to achieve A++ Windows Energy Ratings. This means that you’ll not only remain warmer during winter, you could find yourself saving money on your heating costs as well. Another impressive factor of our modern uPVC bow and bay windows is the fact that they require minimal maintenance to keep an ‘as new’ appearance. This is made possible by an ergonomically designed profile, which helps to prevent dust and dirt build up. All you will need to do is wipe these windows down with a damp cloth to keep them looking good. For your complete peace of mind, all of our bow and bay windows have been approved to Secured by Design standards. This means that they have been meticulously tested by a police backed initiative, undergoing a stringent process that assesses them for their crime prevention properties. You can rest assured that you’ll be protecting your home, without losing style. We are committed to offering you the best designs, which is why our uPVC bow and bay windows are approved by the British Board of Agrément. As on of the leading UK governing bodies on quality assurance, this certification is a demonstration of the standard of quality that these windows will bring. You won’t have to settle for anything less. With environmental concern a hot topic in modern times, we feel it is important that we offer you home improvement solutions that are fully sustainable. This is made possible by a fully recyclable uPVC profile, which allows these windows to be fully recycled without compromising on quality, appearance or lifespan. 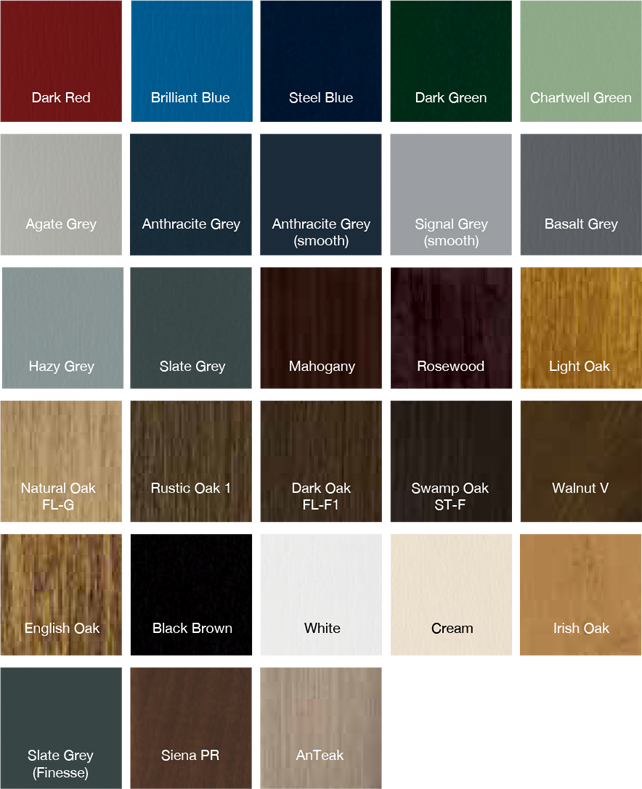 From beautiful woodgrain foils, to an understated and timeless selection of standard colours, we offer a wide collection of colour options across our bow and bay window range. Whether you’re looking for something to catch the eye, or something more subtle and charming, we’ll have something to perfectly suit what you’re after. Looking for bow window or bay windows prices in Worcestershire and The West Midlands? For a free bow and bay window quote, get in touch with us today. You can speak to a member of our friendly team via our online contact form. We’ll be more than happy to answer any questions that you may have regarding our products or prices, and we can also offer you a quote via this method.